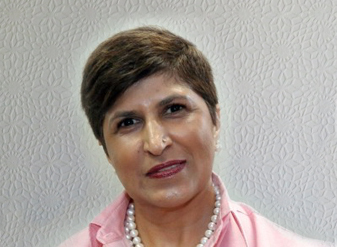 Zohra Dawood has degrees in law and a Master’s degree in economic history. She worked for a decade as chief researcher for a land rights organisation. After 1994, she worked with the Department of Land Affairs and Agriculture, where she was involved in policy formulation and implementation, including negotiations and settlement of land claims. She has been an adviser to cabinet members and was an adviser to the Presidency of Nelson Mandela. She also worked for the Department of Defence in drafting its legislation and policies on land and environment. In 1999, she joined the Open Society Foundations as the deputy executive director of the Open Society Foundation for South Africa, and was the executive director from 2001-2012.